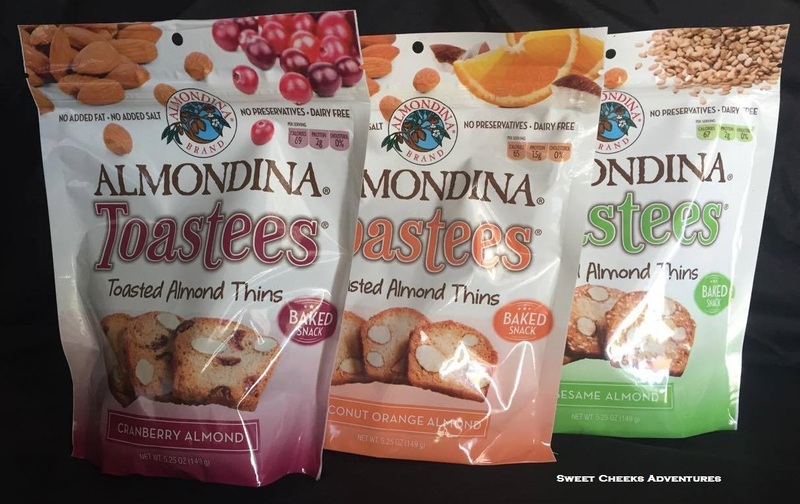 Sweet Cheeks Adventures: Almondina: The Perfect Family Snack! Almondina: The Perfect Family Snack! This family is full of humans who like to snack. Give us crackers, cookies, cheese sticks, ect. You name it, we'll eat it. This is where Almondina Toastees falls right in line with the stars for us! We have snackers of all varieties around here. Late night, after school, mid morning, I could go on. You know what I'm talking about. So many opportunities to snack. 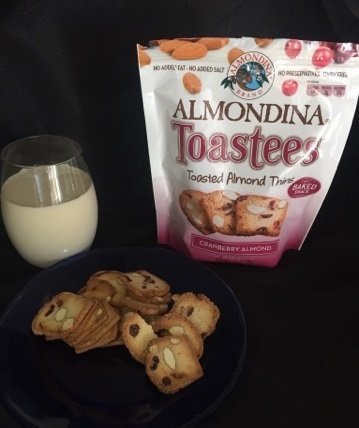 Almondina Toastees need to be the answer to your snack call! The new Almondina Toastees have 3 varieties of flavors. You can find them in Coconut Orange Almond, Sesame Almond and Cranberry Almond. Each flavor is good, but my family likes the Cranberry Almond the best. They're a little sweeter with the cranberry pieces in each slice. Almondina Toastees Coconut Orange Almond flavor are very unique. At first you get a hint of orange in the thin. Then you get the flavor of coconut and taste the almond. I enjoyed how this flavor played on my sense! With the holidays around the corner, Almondina Toastees are the perfect product to have on hand! Pull them out and serve to your guest quickly! They'd pair well with coffee, hot cocoa or a glass of milk. I know my family enjoyed them with all 3 forms of liquid I mentioned! Grab Almondina at your local grocer!